Since the ancient Greeks first began studying animals to learn about anatomy and physiology around 500 BC, researchers and physicians have relied on animal studies as an irreplaceable source of scientific knowledge. Studying animals enables scientists to understand how living creatures, both human and animal, function. Studying animals helps us get an up-close look at living organisms, and how their physical, chemical and functional life systems work. Whether it’s dissecting a frog in high school biology class or conducting experiments on rats to find cures for cancer, studying living creatures remains an essential step in the continuous process of learning more about how to save lives, improve human and animal health, cure diseases, repair injuries and protect us from emerging diseases. Animal rights groups have created an aura of controversy around the topic of biomedical research. However, in reality, there is little disagreement among qualified medical and scientific authorities that animal research is absolutely vital to human and animal health. The National Institutes of Health (NIH) credits animal research with the recent first-time drop in annual cancer deaths, a 70 percent decline over the last 30 years in stroke deaths, and a 63 percent drop in deaths from coronary disease. The virtual eradication of polio through a vaccine developed using monkeys, and the creation of other vaccines to conquer measles, mumps, rubella, tetanus, diphtheria, and smallpox. The development of treatments for childhood leukemia that have improved survival rates from 4 percent to 80 percent. Numerous advocacy organizations are now offering outreach highlighting the victories and benefits of animal research. In addition to drugs and treatments, animal research has also been important in the development of surgical techniques and life-saving implants. Pacemakers, prosthetic limbs, artificial joints, spinal cord stimulators- these types of implants needed living animal models for early testing in order to monitor long-term safety. Not only is it important to make sure that these implants work effectively in a living animal, but when these devices were developed, they needed to be tested in ways that doctors would not be able to do in human patients. For example, when developing new types of implants using different materials for hip replacements, it was important to perform surgery and then do follow-up surgery at a later date to monitor the state of the implant. If the materials used to make the implant wore down sooner than expected, or the implant didn’t stay in place, it’s important for researchers to make adjustments before starting human trials in order to make sure that surgeries are successful as possible. One Health Research is an organization that communicates recent research to the public in an attempt to improve understanding of the way health care for humans, animals, and the environment are connected. Understanding Animal Research offers Virtual Lab Animal Tours of four locations, providing an invaluable mixture of transparency and education. Viewers can not only see multiple settings, they learn why animal research is necessary and valuable — and just as importantly, the animal welfare standards and considerations of lab animal science. The Association recognizes that now and in the foreseeable future it is not possible to completely replace the use of animals and that the study of the whole, living organisms is an indispensable element of biomedical research and testing that benefits all animals. The Association’s sister organization, the Foundation for Biomedical Research, notes the benefits of biomedical research for animal health as well as human medical progress. According to the Foundation, many lifesaving and life-extending treatments for cats, dogs, farm animals, wildlife, and endangered species were developed through research on animals. Pacemakers, artificial joints, organ transplants, and freedom from arthritic pain are just a few of the breakthroughs made in veterinary medicine thanks to animal research. The most commonly used animals in research—more than 98 percent—are rodents, reptiles, and fish. Contrary to the claims of animal rights proponents, the number of dogs, cats and non-human primates used in research comprise less than one percent of all animals studied. Over the past 50 years, the total number of animals in research has declined by about 30 percent. In recent years, scientists have worked hard on what they call “the three R’s”—Reducing the number of animals needed; Replacing animals with other models whenever possible, and Refining techniques to improve animal welfare. Before researchers can even begin to work with animals, they need to prove that there are no acceptable alternatives. They also need to justify the number of animals necessary for their research. The institution’s Animal Care and Use Committee reviews a research proposal before approving any animal work, making sure that the research protocol complies with the Animal Welfare Act, the Public Health Service Policy on Humane Care and Use of Laboratory Animals, the Guide for the Care and Use of Laboratory Animals, as well as any applicable FDA, USDA, OLAW, and institutional regulations. The Association for Assessment and Accreditation of Laboratory Animal Care International (AAALAC) is a private, nonprofit organization that promotes the humane treatment of animals in science through voluntary accreditation and assessment programs. Over 950 companies, agencies and research institutions with animal research programs have received AAALAC accreditation. This accreditation speaks volumes about these research institutions, as participation is voluntary. AAALAC accreditation demonstrates accountability, stimulates continuous improvement through in-depth peer review, and communicates a commitment to excellence and quality within the scientific community. While AAALAC accreditation is a way for organizations to show their commitment to excellence, the American Association for Laboratory Animal Science (AALAS) provides ways for animal care technicians to show this commitment on an individual level. Most animal care technicians have a strong background working with animals, and this type of job tends to attract animal lovers who really enjoy their day-to-day interactions with their animals. AALAS offers several certification levels for animal care technicians who are interested in furthering their careers and continuing education. Through AALAS, individuals can achieve certification at the following levels, with content increasing in difficulty: Assistant Laboratory Animal Technician (ALAT), Laboratory Animal Technician (LAT), Laboratory Animal Technologist (LATG), and Certified Manager of Animal Resources (CMAR). After achieving these certifications, technicians and managers earn continuing education credits by attending seminars, workshops, and training programs in order to stay on top of new information in the field. It is well known that physiological responses to stress can affect experimental data, so excellent animal care is extremely important to animal care technicians and scientists. All animals, including research animals, have very specific physical, social, and emotional needs, and animal care technicians work hard to provide their animals with the best care possible. Programs that focus on ways to create enriching and stimulating habitats are important to animal welfare, and a critical component of any animal research program. Compassion and an understanding of the animal and its needs are also extremely important to the success of animal-based research. Understanding an entire living system is essential to research that will lead to treatments for human and animal diseases. You can study cancer cells in a dish (in vitro) and try to figure out whether or not a new drug will kill those cells, but that alone doesn’t give you enough information to determine whether or not the drug will kill those cancer cells safely in the body. Bleach will kill cancer cells in a dish, but I hope you wouldn’t use that information to inject bleach into a human patient. There have to be steps in between these two points, and those steps need to give researchers information that computer systems and cell cultures can’t. Drug A might kill breast cancer cells in culture, but what if estrogen affects the way Drug A works? What if it causes kidney failure or brain damage? These are all questions that need answers before Drug A is put into human clinical trials. Often, arguments are made that computer technology is so advanced that we shouldn’t need to rely on animals for testing. Fortunately, past animal testing has provided extensive information that has allowed scientists to develop computer models that can improve the quality of research. Researchers can pre-screen compounds to determine which ones will be the most effective, and this screening has been able to reduce the number of animals needed for early testing. But while computers have been able to give us valuable information, they have limits. As AMP notes, “Even the most sophisticated computers cannot simulate physiological functions that must be studied to understand how compounds may affect an entire living system.” To program a computer to behave like a living system, the programmers need to completely understand the living system they’re trying to model. The brain and body are so complex that we still don’t completely understand how and why they work the way they do. It’s like trying to write a screenplay for a movie that is supposed to accurately depict the 2020 Presidential election. We might be able to guess who some of the candidates will be, or accurately predict some of the hot topic issues that will be argued, but until it’s actually 2020 and the election has been won, we can’t say that our movie will be accurate. It’s more likely that the movie will turn into a comedy of errors that we’d laugh at. But the consequences of attempting to use a predictive computer model to determine drug safety, medication interactions, or treatment outcomes could be devastating. At this point in time, even IF researchers had a complete understanding of the living system they were trying to model, processing speed is another limiting factor. Researchers working to model HALF a mouse brain said that it put “tremendous constraints on computation, communication and memory capacity of any computing platform.” And this was only modeling HALF a mouse brain! Their simulation wasn’t able to run at full speed, either; it ran about ten times slower than real life. It also lacked structures seen in real mouse brains. It seems more reasonable to say that computer modeling can help reduce the number animals used in research by replacing some early stages of testing, but ultimately, it’s not at the point where it can replace animals completely. Researchers don’t make the decision to work with animals out of convenience. Computer models or cell cultures require less care and maintenance than live animals. If there’s a power outage, chances are, your computer will restart when the power is restored and you’ll be right where you left off. In vitro experiments (cells in a dish) can be timed around when it’s convenient for the lab members. In vivo (in living animals) experiments usually don’t have that flexibility. If the power goes out, someone needs to ensure that animals have an adequate supply of food and water and that the ventilation and habitat temperatures stay at acceptable levels for the animals to remain healthy and happy. Animal research requires round the clock attention and specialized care. Researchers that work with animals do so because animals are the best models for their research. However, one doesn’t need to be a researcher or scientist to recognize the need for animal research. Would any of us want to undergo surgery at the hands of a surgeon who had never operated on a live being before? Would we want a veterinarian who had never used a scalpel on a live animal operating on our dog or cat? Of course not. And after understanding the limitations of computer models and in vitro cell research, we probably wouldn’t want to receive a new medication or treatment without knowing that it had already been successfully tested in a living animal (in vivo). Researchers are able to create animal models of human disease in an attempt to model disease mechanisms. A mouse model of bronchopulmonary dysplasia is helping researchers develop ways of preventing lung and heart problems in premature human infants. 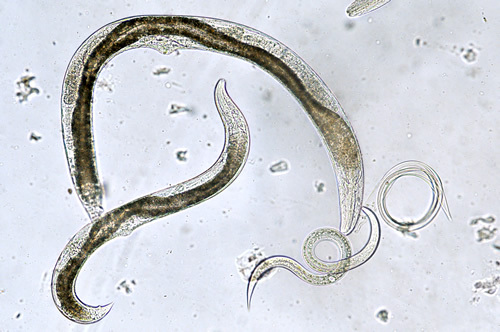 Nematode worms and humans have the same protein on the surface of their sperm cells; this protein helps the egg recognize the sperm, and research with these worms may lead to a better understanding of human infertility. Animal models for late-onset diseases, such as Alzheimer’s, are particularly important. 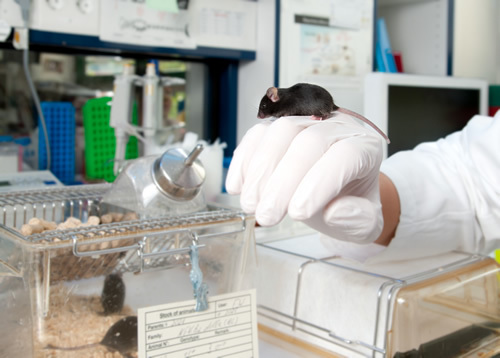 For example, laboratory mice have much shorter lifespans than humans, so researchers can determine whether or not a particular drug or treatment will work in a matter of weeks or months instead of years or decades. In a research setting, variables can be carefully controlled, so scientists can determine exactly which variable made a difference. Mice have given scientists clues about the role of estrogen, the immune system, and certain enzymes that may play a role in Alzheimer’s disease in humans. Information gained through animal research does more than help humans - it also helps animals. The Foundation for Biomedical Research reports that dogs, cats, sheep, and cattle now live healthier lives because of vaccines for rabies, distemper, parvovirus, hepatitis, anthrax, tetanus, and feline leukemia, all developed through animal research. New treatments for glaucoma, heart disease, cancer, hip dysplasia, and traumatic injuries are saving, extending, and enhancing the lives of beloved pets. In addition, animal research has led to advanced techniques that have helped preserve and protect threatened and endangered species. The National Zoo, a program of the Smithsonian Institution, operates two important research centers. 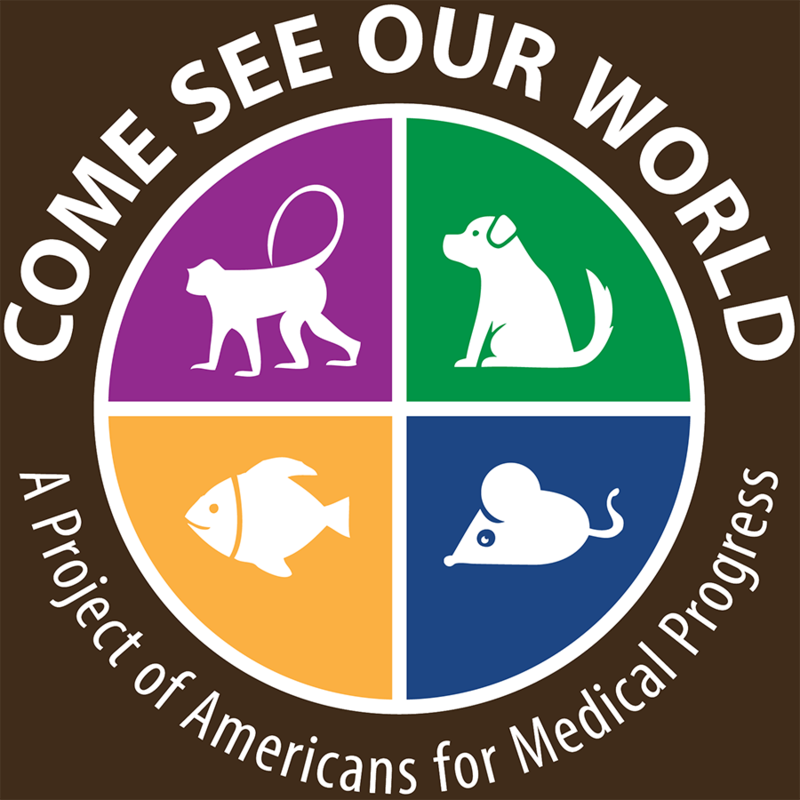 The Center for Species Survival conducts basic and applied research, especially in the fields of reproductive science and animal management, to understand biological mysteries and to implement practical solutions to help rare species survive in zoos so that they will not become extinct in the wild. Scientists at the Center for Conservation and Evolutionary Genetics specialize in genetic research to help manage wild and captive populations to maintain their genetic diversity. Improving knowledge of the genetics of threatened and endangered species enables scientists to understand how genetic variations affect their ability to survive and to identify effective approaches for sustaining these species in the wild. Animal research has played an important role in our understanding of diseases that affect humans and animals today, and it will continue to be important in the development of new drugs, treatments, and therapies in the future. At this point in time, there is no substitute for live animal models at necessary stages of research. The message here, though, is that animal-based research is carefully regulated and performed by individuals who believe that animal welfare is a top priority. To perform animal research responsibly, one must have a respect for the animals in their care and for what those animals are able to teach us. 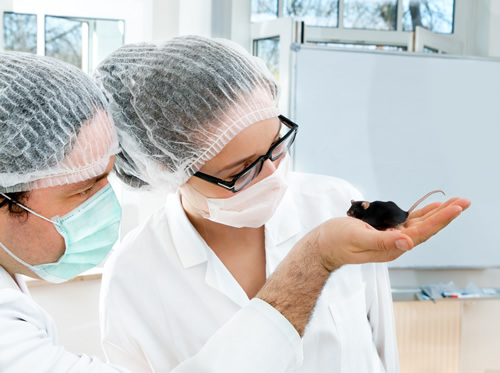 There are a lot of misunderstandings surrounding animal-based research, in part because it’s difficult for members of the scientific community to communicate their work. Unfortunately, there have been a lot of negative perceptions surrounding animal research, mostly due to this lack of understanding. Please do some research for yourself, and learn more about the ways that animals continue to advance science and medicine. Educators recommend that dissection activities be conducted in a way that helps students develop hands-on skills of observation and comparison; understand the shared as well as unique structures and processes of specific organisms, and develop an enhanced appreciation for the complexity of life. Using personal safety protective equipment such as gloves, goggles, and aprons, and ensuring the safe and appropriate use of scissors, scalpels and other tools. Most science educators agree that it is important to offer alternatives to dissection for students who might be uncomfortable handling real animals in this way. Modern computer simulations make “virtual dissection” a lesser option for those students. However, the NSTA continue to support the decision of science teachers and schools to integrate live animals and dissection in the classroom and opposes any rules or laws that would deny students the best opportunity to learn biology: through actual animal dissection. Diabetes is a very manageable illness; in fact, it is so common for people with diabetes to lead long, healthy lives today, it might be shocking to learn that the disease was a death sentence less than 100 years ago. At that time, an adult diagnosed with diabetes would be lucky to live another decade, and the recommended treatment was a strict starvation diet, which at best merely prolonged your life. 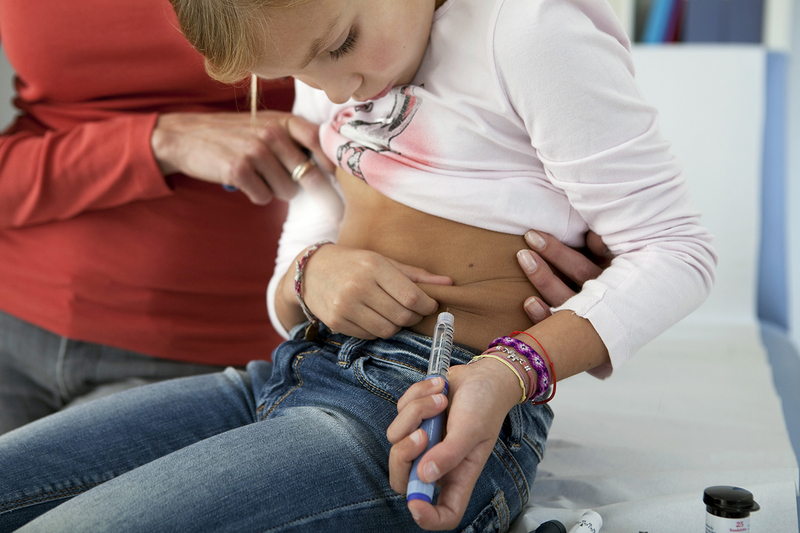 Children suffering from diabetes passed more quickly than adults. 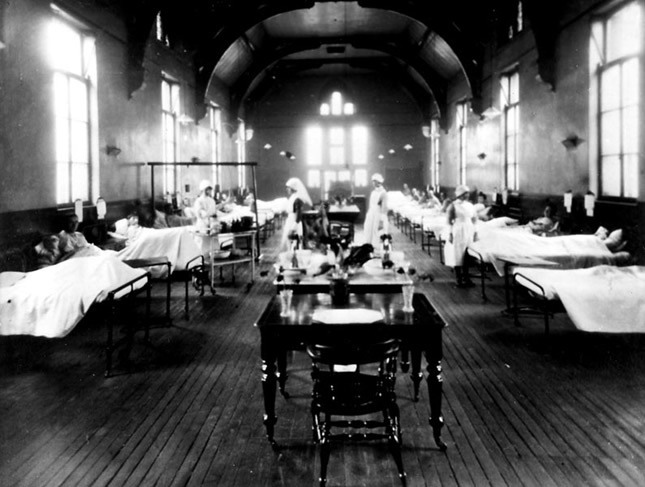 They were often kept in large hospital wards with 50 or more other children, visited by family as they wasted away toward a tragic, inevitable death. This was the reality of diabetes in early 1922. But in 1922, in one of the most dramatic moments in the history of medicine, that reality was changed forever. Three men visited one of these hospital wards, traveling from bed to bed giving each child an injection… a shot that proved so effective, by the time the men reached the last child in the ward, some of the first children to receive the injection had already awakened from their comas. For these children and their families, diabetes – just like that – was no longer a death sentence. The three men, Frederick Banting, Charles Best, and James Collip, had recently discovered how to treat diabetes with insulin following research trials with dogs and the purification of animal insulin. Having restored normal glucose levels in a near-death 14-year-old boy, and armed with enough insulin for multiple patients, it was time to treat larger groups. To the grateful joy of parents and their awakening children, insulin was, quite literally, a new lease on life. Thanks to the work of these scientists, diabetes – a confounding disease that had been described in medical literature for thousands of years – transformed from a death sentence into manageable disease virtually overnight. Today, it is estimated that 29 million people in the United States have diabetes and their generation may be the first to experience cures as well as treatments. Thanks to modern medicine, children and adults with properly managed diabetes can lead long, healthy lives.